At Kinstruct Health Chiropractic & Wellness, we believe acupuncture provides pain relief, and is complimentary to chiropractic care, massage therapy and naturopathy. Acupuncture care is carried out by Dr. Alison Gottschalk, and Dr. Laura Dobrinsky, as they work as a team to restore and optimize your health. Acupuncture is a method of encouraging the body to promote natural healing and improve function. This is done by inserting needles and applying electrical stimulation at very precise acupuncture points. Inserting a needle into local tissue helps to increase blood supply to that area. In turn, healing is facilitated. Needling may also help to break up trigger points and encourage tissue repair. Studies have shown acupuncture and electro-acupuncture to stimulate the release of endorphins, modulate the transmission of pain pathways and suppress or deactivate areas for pain processing in the brain. Acupuncture works to restore homeostasis and balance to the nervous system. 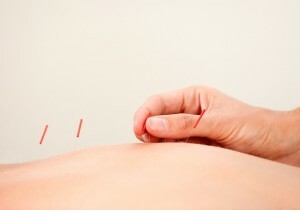 Are you wondering if acupuncture might give your health the support it needs? Contact us today to find out more.